5 BEDROOMS HOUSE FOR SALE IN KATHU. Patong Bay Sea View Residence - Type D Garden View. Condo for sale of 45.5sqm in Patong Bay Residence1, consisting of 1 bedroom and 1 bathroom located at Patong, Kathu. Facilities include: CCTV, Fitness, Garden, Parking, Security and Swimming Pool. Rawai Beach Condominium - Type Studio. Condo for sale of 25sqm, consisting of 1 bedroom and 1 bathroom located at Rawai, Mueang Phuket. Facilities include: CCTV, Fitness, Security and Swimming Pool. 1 Bedroom Sea view Condominium in Kamala for Sale. The Corner XL Seaview @The Tower Condominium Phase II. Condo for sale of 40.13sqm in Diamond Condominium, consisting of 1 bedroom and 1 bathroom located at Bang Tao, Thalang. Facilities include: Air Conditioning, CCTV, Fitness, Garden, Parking, Security, Swimming Pool and Wi Fi. Condo for sale of 54sqm in Dhawa Phuket, consisting of 2 bedrooms and 2 bathrooms located at Choeng Thale, Thalang. Facilities include: CCTV, Fitness, Security, Swimming Pool and Wi Fi. Condo for sale of 43sqm in Karon Butterfly Condominium, consisting of 1 bedroom and 1 bathroom located at Karon, Mueang Phuket. Facilities include: CCTV, Fitness, Garden, Parking, Security, Swimming Pool and Wi Fi. The Classic @ The Tower Condominium Phase I. House in the heart of Central Phuket. 5 Bedroom House with Private Pool (possible to convert to a business) For Sale @ Rawai Beach, Phuket. Hello, Please contact me, I am interested in properties for Sale in Phuket. Best Regards. "Be it a house or a condo, if you're looking for real estate in Phuket you are sure to be able to find exactly what you want due to Phuket's large size and diversity. No matter what type of landscape or lifestyle you want, Phuket has it, from secluded, relaxed and beautiful beaches, to mountainside houses to downtown condos surrounded by never-ending nightlife. If you've decided that you want to buy real estate in Phuket, you first need to know the right place to look. 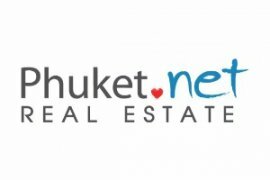 Luckily, Thailand-Property.com has thousands of listings for properties for sale all over Phuket to get you started. 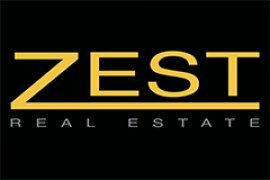 Just find the real estate search engine at the top of the site and enter in all of your real estate criteria, including your price range, number of bedrooms, etc. You can even enter in what town in Phuket you want to search in and you'll automatically receive listings of all the places that suit your needs. Finding real estate for sale in Phuket has never been easier." Find your next home among 8,100 listings for sale in Phuket quickly and easily online. 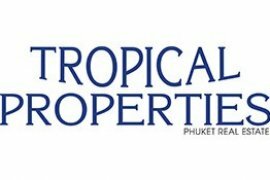 Condominiums, houses, townhouses, villas, commercial space, plots of land, affordable homes and luxury properties are available for sale in Phuket. The average listing price in Phuket is ฿ 8,439,224 for condos and ฿ 36,522,184 for houses. If you are after a place to rent in Phuket then try checking out our Phuket rental listings. Easily find your next home for sale in Phuket by filtering types, price and number of bedrooms. Alternatively search by popular developments in Phuket such as Baan Mai Khao, Dhawa Phuket and Marina Paradise Condominium.